Many television programs and newspaper articles focus on the phenomenon of young people from foreign countries emigrating to London. In fact, many young people, as soon as they finish high school, pack their suitcases and leave their homes, parents, and friends to travel to the British capital. Some decide to leave home to learn English, others to try their luck and to perhaps start the career of their dreams. Whatever your situation may be and whatever the reason pushing you towards looking for a job abroad you should know from the beginning that you have to start from the bottom. Regardless of your skills and qualifications, if you are thinking about working in the United Kingdom, you must be prepared to perform simple tasks and jobs, but that are no less worthy or stimulating. What are the most popular and accessible jobs? Without a doubt, working as a dishwasher or a waiter in a bar or restaurant are some of the most popular initial jobs. In London in particular, you can take advantage of the large number of coffee shops, filled with businessmen during lunch and older women with their friends. Other types of popular places are the bars, where people go to enjoy the typical English breakfast, and the pubs, where they go to have a beer with friends. @ABAEnglish and English phrases for working in a bar. 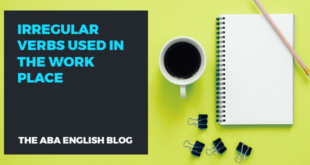 If you are thinking about having a work experience abroad, it would be good to prepare yourself with the English vocabulary in the field in which you will be looking for work. 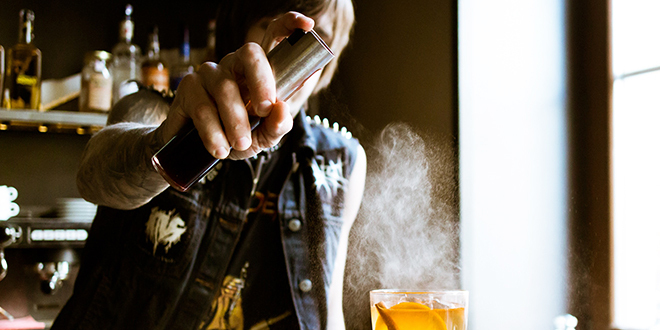 Today we will present you with some helpful phrases that will be useful if you work as a bartender. Today’s specials are on the board. Do you want some milk in the coffee? Which beer would you like? I am sorry, I’ll fix it in a minute. I am sorry, but smoking is not allowed in these premises. I am sorry, I didn’t note it down correctly. I am sorry, the kitchen is closed. Can I take it away? Can I bring you the bill/check? In this bar, the payment is up-front. Payment is at the till. Should I make a single bill? Would you like to pay separately? We do not accept cards here, only cash. Offer food to the customer. This slows down the absorption of alcohol. Make sure that they have water. Call the person in charge or manager as soon as possible. Make up excuses to delay the delivery of what they have ordered. Do not tell the customer out loud, in front of everyone, that you will not serve them. Rather, take them aside and kindly inform them that they cannot order anything else. If they are with their friends, inform them that you can no longer serve the customer. If they are alone, make sure that they have transportation. If they do not, call a taxi. You should always be kind, but firm. Sorry for the delay, we had a problem in the kitchen. These snacks are on the house. It is free of charge. Help yourself! I think you should call it a night. Your last order arrived early. These phrases will be very useful if you work as a bartender. 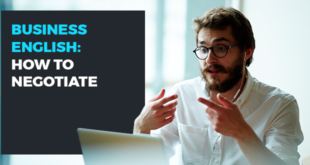 Regardless of the profession you wish to practice abroad, you will need to know the specific vocabulary and the correct phrases to interact with clients and coworkers. 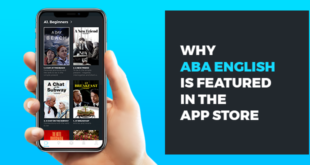 ABA English offers 144 video classes and a good quantity of short films as well as giving you the opportunity to communicate with native teachers who are always available to answer your questions. Yes, I want to see the video classes!